Dealers and funeral homes across the country continue to see great success with the Healing Tree. Our marketing team has redesigned the Healing Tree wall display with images that better tell the story of the ceremony and its gentle healing powers. Help the families you serve remember, celebrate and heal. 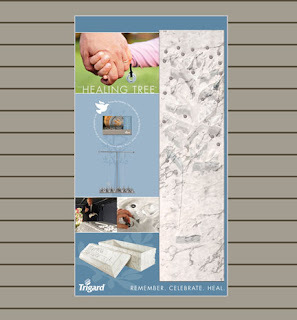 Call 800.637.1992. to order one of our new Healing Tree displays.